I picked this story for 1916 primarily because it was a work by Twain I did not know and I was curious. This is one instance when it would have been better to leave my curiosity unsatisfied. During the last part of his life, Twain entertained a great fascination with what he referred to as the “hypocrisy of religion. 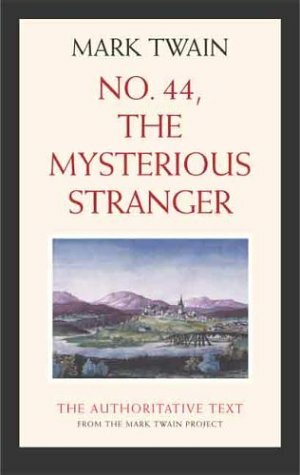 ” This edition of The Mysterious Stranger concentrates on that, telling the rather jumpy story of the “mysterious stranger,” Satan, the unspoiled nephew and namesake of the Lord of Hell. The story begins in the hills of Austria, set during the Middle Ages, and concentrates on the actions of Satan as he befriends a group of young boys, who are both horrified and delighted at the attention paid them by the stranger. The story jumps around and rambles, and so lost me about a third of the way in. The forward says this edition is a compilation of two versions of the manuscript, which Twain worked on sporadically from around 1890 to 1910, and which was left unfinished when Twain died. Unfinished, rambling, preachy, and just plain uninteresting, skip this one. 1 out of 5 catalog cards.